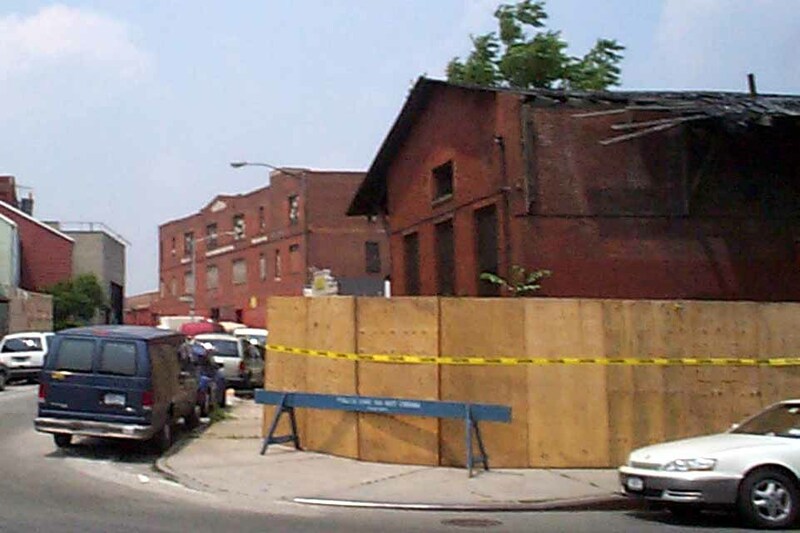 The Long Island Rail Road Bushwick freight terminal stood at the corner of Johnson Avenue and Bushwick Place in Brooklyn. 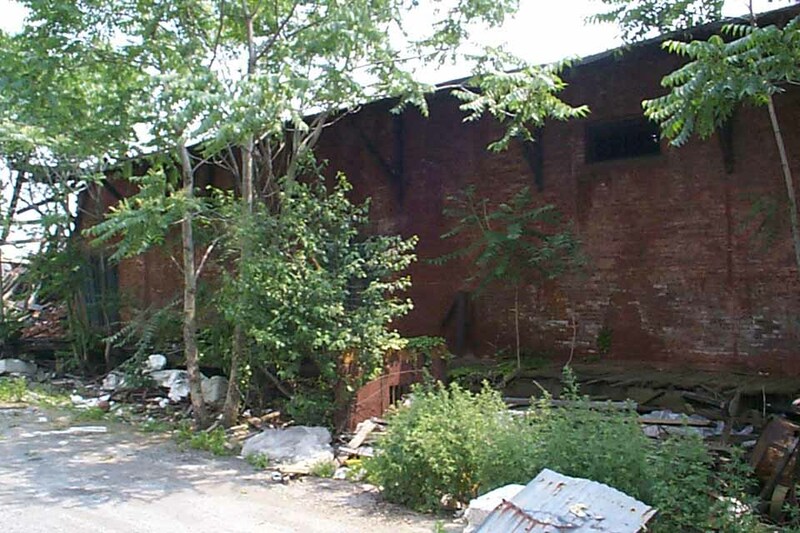 It was abandoned by the LIRR decades ago and was leased out for other uses, including a meat packing facility and, most recently, to a manufacturer of styrofoam coolers as a warehouse for styrofoam pellets. 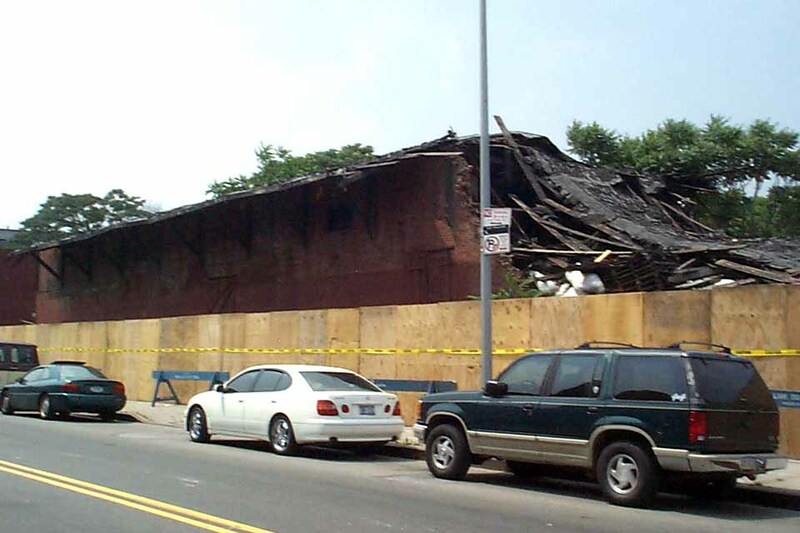 The roof had collapsed following a fire set by the resident homeless in May, 2003. 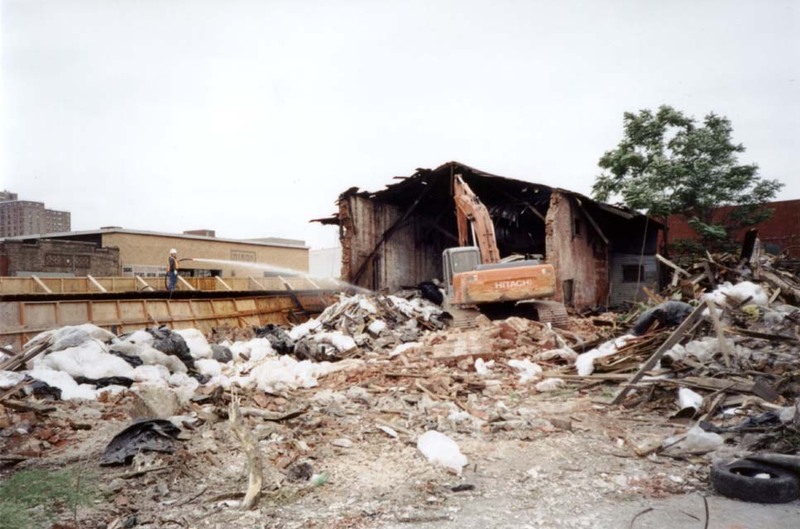 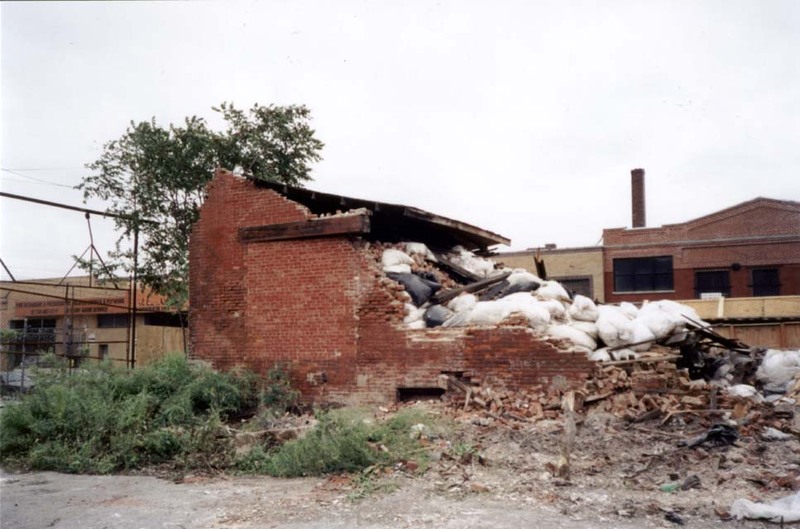 The building had been completely disused for about twenty years, but was still full of bags of styrofoam pellets at the time of demolition. 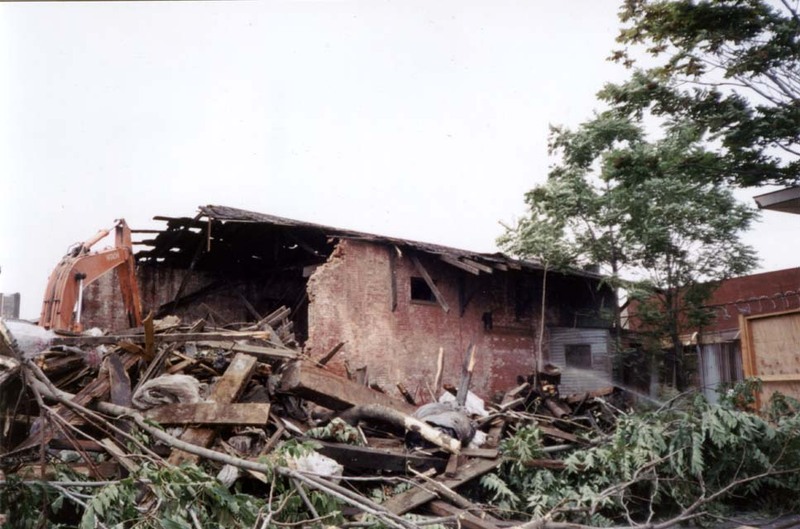 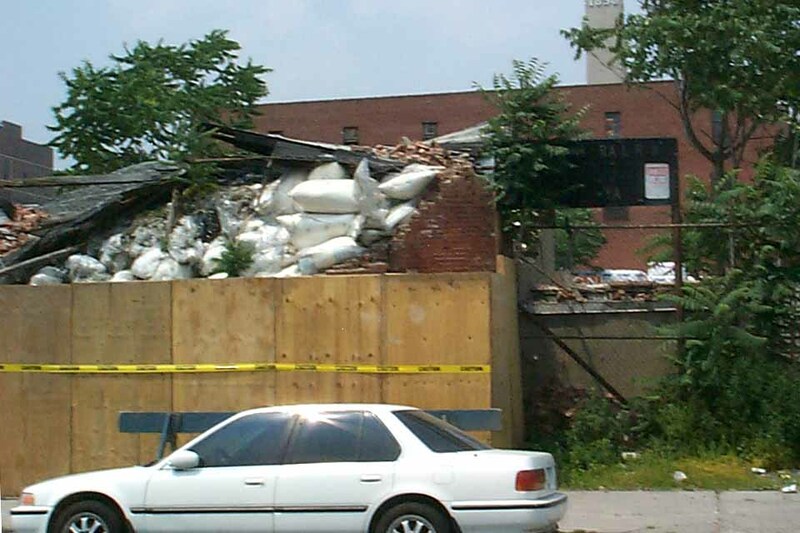 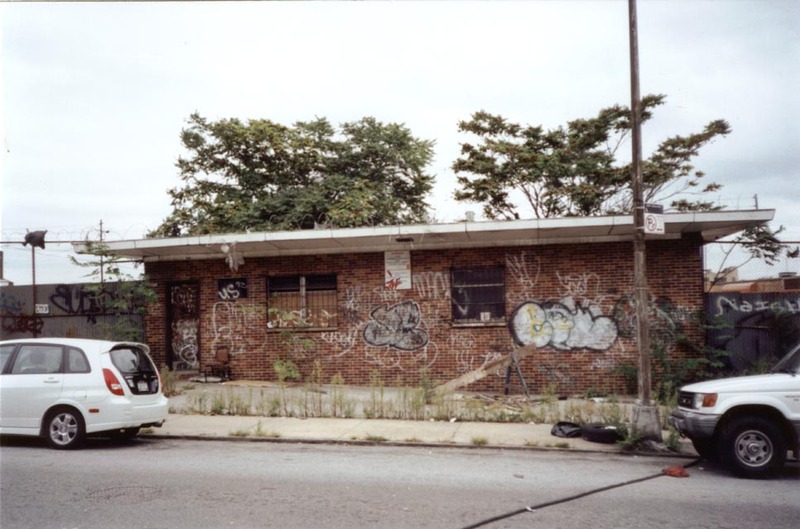 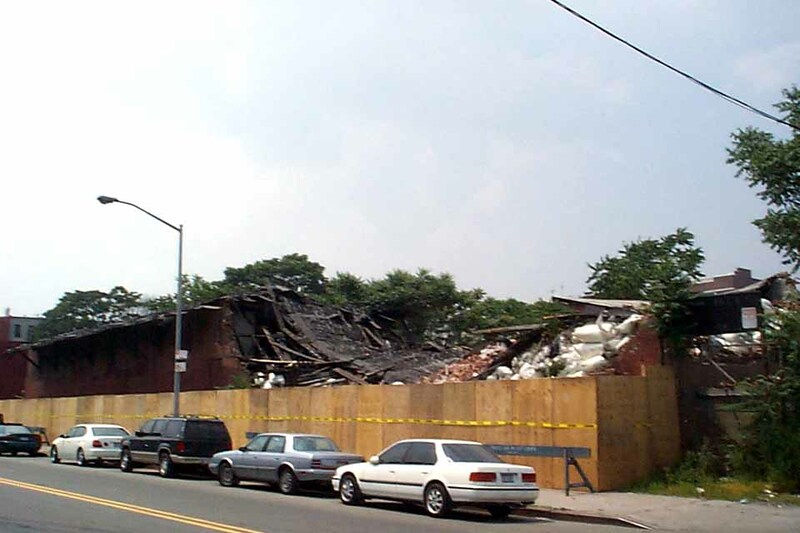 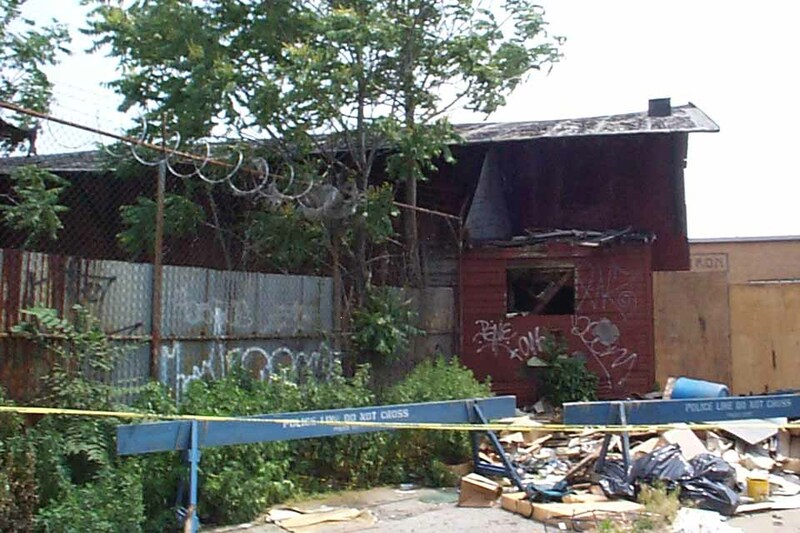 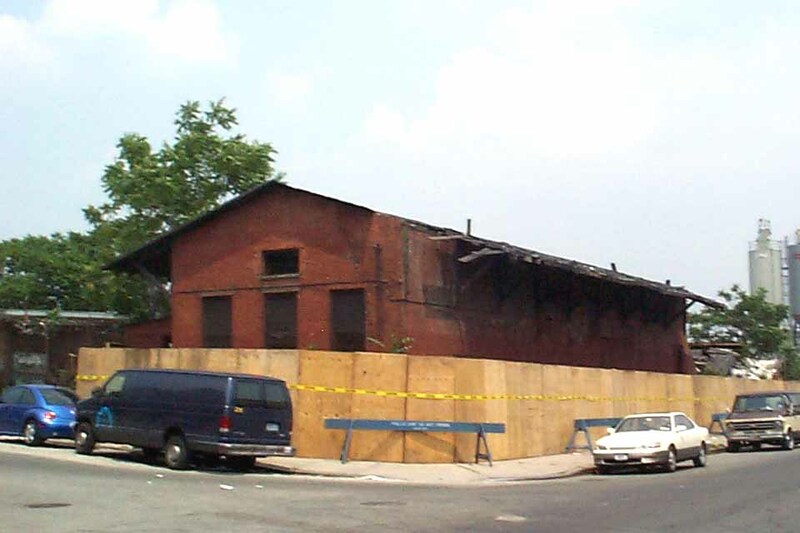 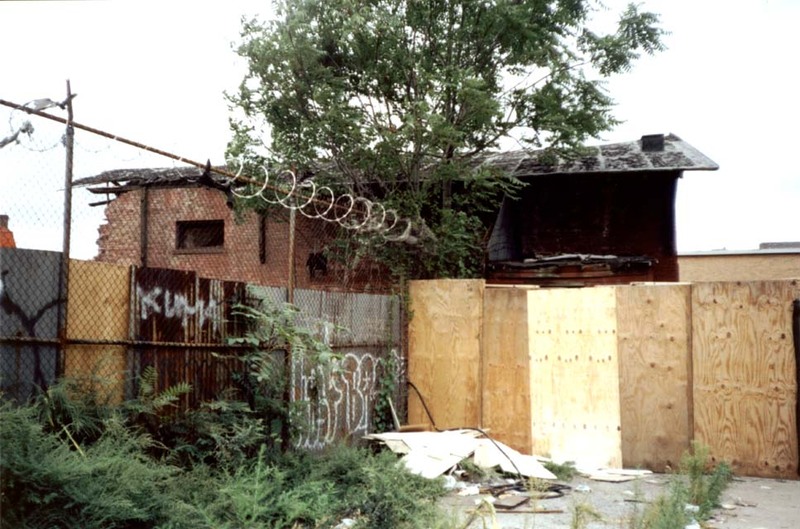 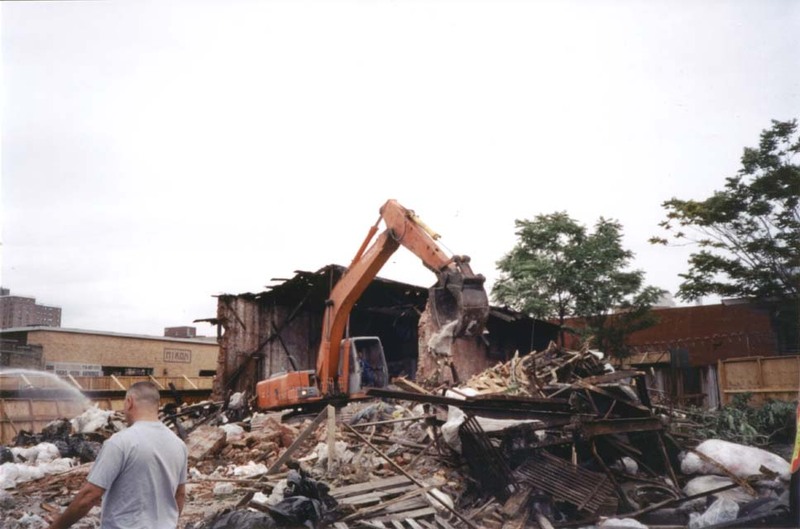 The former LIRR freight office on Bushwick Place, pictured in the last photo, still stands.